During October and early November 2010, whilst working for Metropolis Studios I was part of the team that helped to bring the Beatles to iTunes. 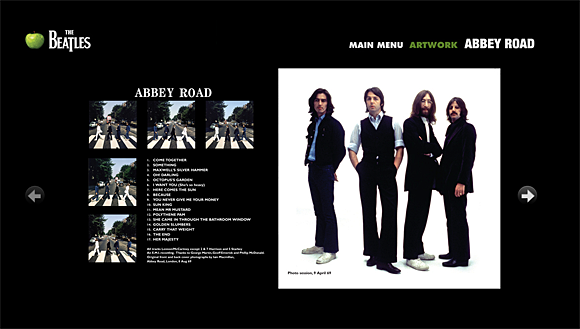 For their release on iTunes, each of the sixteen digitally remastered albums required the creation of an iTunes LP digital album booklet. 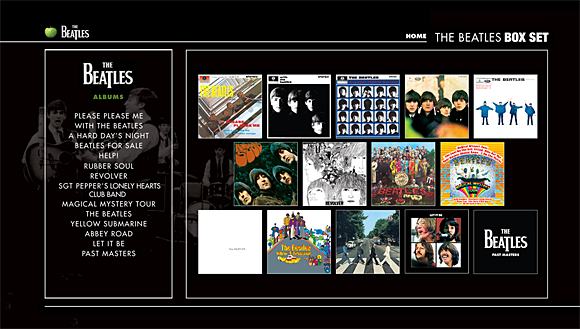 Additionally we built a special “Box set” iTunes LP booklet itself containing both the thirteen studio albums (and Past Masters) and their LP booklets as well as additional exclusive content including a film of their 1964 concert in the USA.